Post Traumatic Stress Disorder (PTSD) is an anxiety disorder that may arise following exposure to a distressing, frightening, or dangerous event. An estimated 8% of Americans – 24.4 million people – struggle with Post Traumatic Stress Disorder at any given time. While the research is still forthcoming, there are revelations that support medical marijuana for PTSD including military veterans who provide anecdotal reports indicating that the drug helps with their symptoms. An emerging field of research illustrates the potential for medical marijuana to provide relief and better care for PTSD when compared to the current class of drugs commonly used to treat the disorder. One such study published in the journal Neuropsychopharmacology, contributed to the understanding of cannabis’ positive impact on the brain, by examining its effects on traumatized rats. Researchers found that administering synthetic cannabinoids to rats after a traumatic event decreased the behavioral and physiological symptoms of PTSD such as impaired extinction learning, impaired plasticity and increased startle response; symptoms were alleviated by prompting changes in the brain centers responsible for the formation and retention of traumatic memories. In contrast, the control group continued to experience these symptoms. Furthermore, the treated group also fared better when compared to another group being treated with the SSRI antidepressant sertraline (Zoloft), a substance commonly used in the treatment of PTSD that has yielded mixed success in reducing symptoms. Against the backdrop of findings such as these, there has been a surge in state support for the use of medical marijuana as a treatment for PTSD with twenty-eight states plus the District of Columbia now including PTSD in their medical marijuana programs – doubling the tally in the last two years. In favor of these legislative developments are veterans, who have began using the substance to treat their post-military combat PTSD. Nevertheless, it should be mentioned that due to the nascent nature of this topic area, studies on effectiveness of medical marijuana in treating PTSD are limited and at times contradictory. With that being said, there are several studies underway that will yield more reliable findings in 2-3 years according to Marcel Bonn-Miller, a University of Pennsylvania professor leading the Colorado-sponsored research into the efficacy of medical marijuana for the treatment of PTSD. The American Psychiatric Association suggests there is insufficient evidence to support the use of cannabis to treat PTSD. Furthering bolstering these concerns is the most recent assessment by a federal science advisory examining two decades’ worth of research to find limited evidence indicating that a synthetic chemical cousin of marijuana would help alleviate the symptoms of PTSD. Furthermore, they found some data to suggest that cannabis use could worsen PTSD symptoms. Additionally, it can be argued that there are several associated risks with increased marijuana use including social anxiety disorder (1) other substance use (2), psychiatric problems including psychosis and impaired cognitive ability, and medical problems such as chronic bronchitis and impaired motor functioning. If not used carefully, chronic users may also be susceptible to addiction, with an established and clinically significant withdrawal syndrome (3). It is therefore clear that prospective users should carefully consider their decision to use medical marijuana to treat their Post Traumatic Stress Disorder. This can be seen when the individual relives the trauma through flashbacks, nightmares and/or frightening thoughts. These symptoms may cause disruptions in the individual’s everyday routine and are triggered by internal factors such as the person’s own thoughts and feelings, or external factors such as words, objects, or situations that are reminders of the event. To be diagnosed with PTSD, the individual must exhibit at least one avoidance symptom in which he/she avoids all reminders of the trauma including places, objects, events, thoughts or feelings. These symptoms may prompt changes in the person’s daily routine. For example, those who have been in a bad car accident may avoid driving or riding in a car. An individual suffering from PTSD will experience at least two arousal and reactivity symptoms which can leave the person feeling easily startled or feeling tense or “on edge”. The person may also have trouble sleeping or have angry outbursts. Unlike the previous symptoms which are usually triggered by reminders of the trauma, these symptoms tend to be more constant and make it hard to do daily tasks such as eating, sleeping, or concentrating. An individual suffering from PTSD will experience at least two cognition and mood symptoms. These include difficulty remembering key details of the traumatic event, negative worldviews and self-perception, distorted feelings like guilt or blame and loss of interest in usually enjoyed activities. These symptoms have dire social consequences as they can leave the person feeling alienated or detached from friends or family members. To be considered a Post Traumatic Stress Disorder, symptoms must last more than a month and be severe enough to interfere with relationships or work. One’s experience with PTSD is highly individual; some people recover within 6 months, while others develop chronic symptoms that last much longer. In conclusion, there is reason to believe that medical marijuana has vast potential in future treatments of Post Traumatic Stress Disorder. Although more research is needed, medical marijuana is a now an option for patients and should be considered as an alternative to existing treatments for PTSD. Ready to discuss whether this is the right option for you? 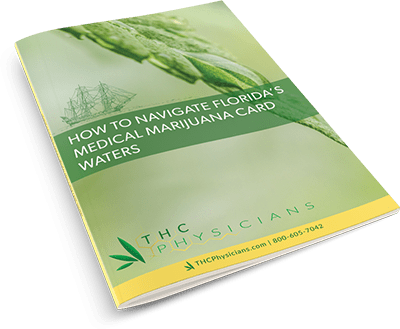 Contact THC Physicians at 561-665-6090. We provide medical evaluations and authorize Medical Marijuana Cards for patients who qualify. Buckner, J.D., Schmidt, N. B., Lang, A. R., Small, J. W., Schluach, R. C., & Lewinsohn, P. M. (2008). Specificity of social anxiety disorder as a risk factor for alcohol and cannabis dependence. Journal of Psychiatric Research, 42,230-239. Butterworth, P., Slade, T. & Degenhardt, L. (2014). Factors associated with the timing and onset of cannabis use and cannabis use disorder: Results from the 2007 Australian National Survey of Mental Health and Well-Being. Drug and Alcohol Review, 33, 555-564. Budney, A. J., Hughes, J. R., Moore, B. A., & Vandrey, R. (2004). Review of the validity and significance of cannabis withdrawal syndrome. American Journal of Psychiatry, 161, 1967-1977.